KPFA is currently being sued by one of its sitting local station board members Bill Campisi, who is running for re-election with the United for Independent Radio slate, our opposition. Campisi vs. Pacifica has been in the courts since January of 2018 and has currently cost KPFA at least $40,000 in membership donations. The plaintiff, Campisi, has lost three times already, twice in Alameda Superior Court and once in the Court of Appeals where a Petition for Writ of Supersedeas was denied on September 10, 2018. Campisi is suing to remove from the national board one of his colleagues. 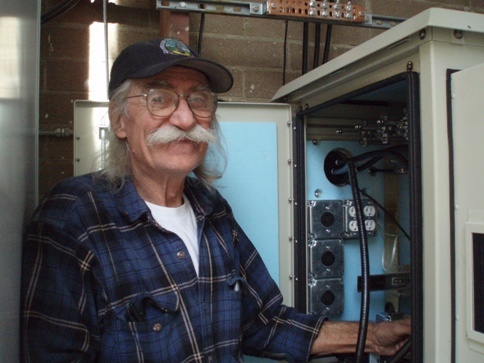 The object of his wrath is Tom Voorhees, a noted community radio engineer who has built community radio stations all over the country, most recently going down to Puerto Rico to set up a new tower for the low power radio station in Vieques after it sustained severe damage from Hurricane Maria. Campisi’s problem with Voorhees? He wasn’t a supporter of going into voluntary bankruptcy. Prior to the local board electing their national reps, they convened to a secret closed session to (in the words of then board chair Carole Travis) quiz the national candidates on their views on a bankruptcy filing. To his credit, Voorhees was honest, and accordingly came in 4th in an election for 3 seats. That would have been fine, but 8 seconds after the election results were announced, Campisi who had come in third by about 1/2 a vote, announced that he was resigning from the seat he had just won 8 seconds ago and the board should have another election. This was for the purpose of replacing a proportional voting election for 3 seats at once to a majority rule vote for just a single seat. Later, Travis stated that since the majority of the board favored a bankruptcy filing, they should not have any one representing them who held a minority position. The national board rejected that hypothesis, as Pacifica was one of the first adopters of an RCV voting system (now used in the cities of San Francisco, Oakland and Berkeley). So Campisi went to court, unable to sneak in his pro-bankruptcy candidate of choice Susan Da Silva (now also running for election on his slate) and willing to spend KPFA’s donations to hold up his quit-and-revote scheme. And spend them he did. The lengthy case dockets are below. There was absolutely nothing of importance at stake, just a one year board term for someone Campisi disagreed with and his embarrassment that his scheme to wedge in someone he liked better with a trick didn’t work. Is this really the best use of tens of thousands of dollars?